The Clapton Football Club, founded over 140 years ago, has left an indelible mark on football from the most unassuming corner. 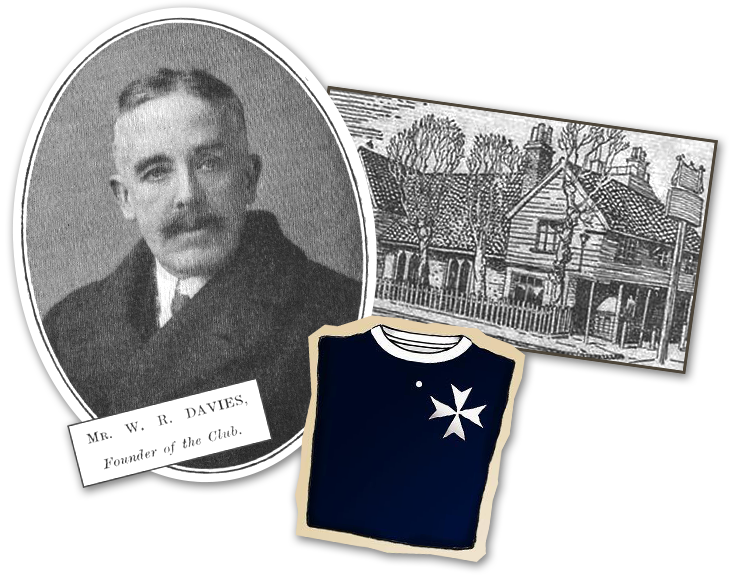 Having emerged from three teams sharing a Hackney Downs pitch in the late 1870s, the club has survived global pandemics, economic depression and two World Wars. 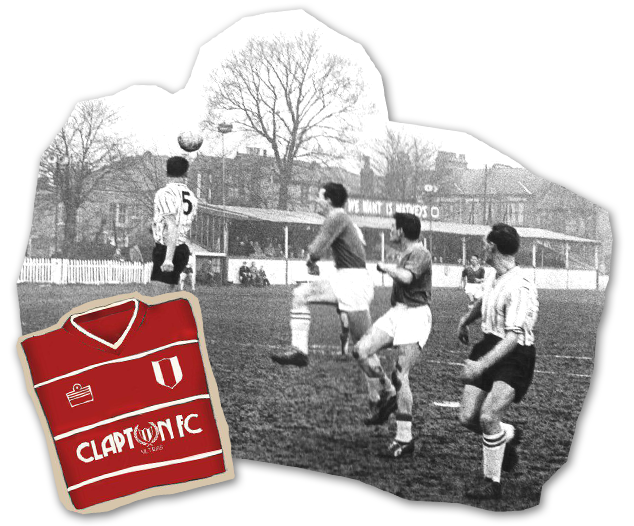 Clapton FC existed before there was the motor car or radio broadcasting and has served its community throughout generations of players and fans. Located fewer than five miles northeast from the dockyards at the centre of the world, Clapton has long applied a recruitment policy to its playing staff that is adaptive to its ever evolving parish. 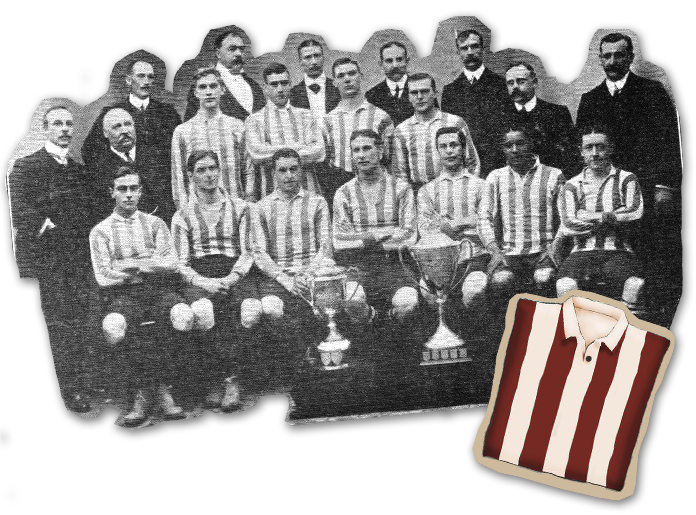 Renowned players, such as Walter Tull, Viv Gibbins & Clyde Purnell have all worn the club's famous red & white stripes. The Tons' alumni of internationals, trophy winners and storied heroes have given this amateur football club an acclaim way beyond its now modest stature. Surrounded in all directions by some of the biggest names in the game, Clapton has always had to fight its corner. In 2012, a beleaguered and unloved club, scrapping at the bottom of the table found a new spark. The crowds returned to Clapton, while the team found new modern heroes. The feeling, described by those who remember, was reminiscent of the club's past glory days. Since its origins, Clapton has been a constituted members club. Drawing its strength from a broad base of talents, rather than a powerful figurehead. At the turn of the Millennium, however, this long era of finding skill and effort provided by the community ended, following a takeover. The subsequent period saw the dismantling of the membership. The club had become isolated from the community and fell to its lowest ever point. In 2014, the historic Clapton Life Members revived their yearly AGM in an effort to increase supporter engagement with the club. Despite a number of volunteers coming forward, the club administration resisted any form of participation, insisting their membership remained "closed for restructuring". 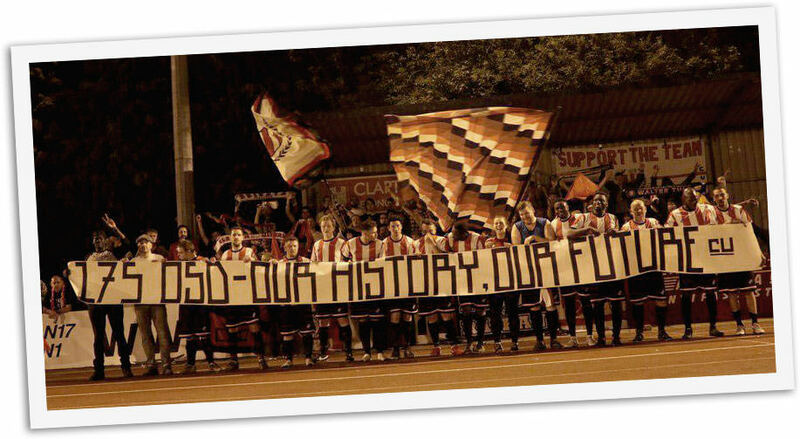 After years of "restructuring", the club membership continued to be a closed shop; excluding the wider community from contributing to their club, in defiance of Clapton's own constitution. Unilateral decisions from the club administration, made without warning or consultation, regarding sudden price hikes and overzealous security measures further frustrated supporters, who demanded fan representation. Community engagement carried out by supporter groups like the Clapton Ultras had seen attendances at home matches surge from an average of just 25, to the high hundreds in just a few years. Fan-generated revenue had become a major asset for the Club, all the while very little of that money was ever reinvested back into the team or infrastructure. Despite these difficulties, a unique culture continued to grow at the club. 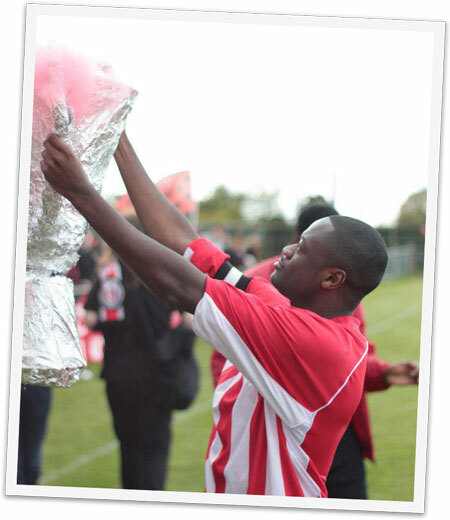 A supportive bond developed between players and fans, which saw Clapton's on the field performances and results improve year-on-year. In early 2017, it emerged that the Club Chief Executive had placed the charity that operates Clapton's historic home ground, the Old Spotted Dog, into "Members Voluntary Liquidation", claiming massive debts. 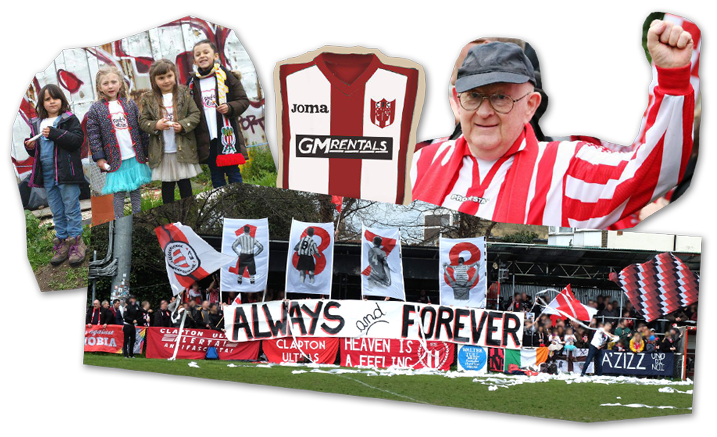 With the future of London's oldest senior football ground in serious peril, supporters & Club Life Members felt decisive action was needed to preserve Clapton's historic legacy. With guidance from Supporters Direct, Clapton Community Football Club was voted into existence by its (open) membership in February 2018. Join us and get your own slice of football! Our club is 100% owned and run by its supporters, with each shareholder having an equal vote. To register as a member click on the button below. Your contribution, big or small, will go directly into growing our club and helping to create better opportunities in local, grassroots football.